It’s been in the planning stages since it was first announced in 1961, and now that it’s taking place, the news is more about the defections and controversies than the event itself. It’s called the “Great and Holy Council (GHC) of the Eastern Orthodox Churches,” and it’s meant to be the first ecumenical meeting of all the Orthodox churches since 787. At that time, the Catholic and Orthodox Churches were still together, and they held the Seventh Ecumenical Council of (almost) all the Christian Churches to decide such important issues as whether it’s sacrilegious to display images and icons of Jesus Christ in churches. Since 787, the Orthodox and Catholic churches have been split. In the “Schism of 1054,” the Pope and the Patriarch of Constantinople excommunicated each other, and in 1204 the Catholic Crusades attacked, sacked and plundered the Orthodox church in Constantinople. 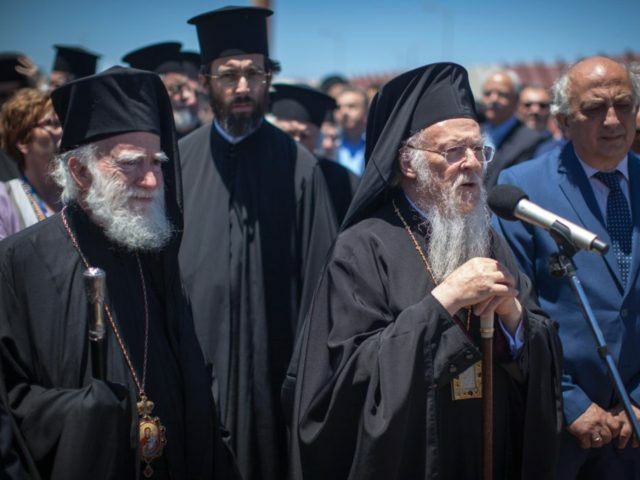 So Sunday was the first day of the Great and Holy Council, hosted in Crete by Ecumenical Patriarch Bartholomew I of Constantinople, considered “first among equals.” It would be the first ecumenical meeting of Orthodox churches since 787. It would bring together the leaders of all 14 independent Eastern Orthodox churches, representing more than 300 million Orthodox Christians. Unfortunately, there have been several disagreements and defections. The first disagreement was that Russia and Bulgaria did not want to recognize Bartholomew as “first among equals,” so they insisted that the meeting be held at a round table. That issue was resolved, but Bulgaria pulled out anyway, citing a lack of “particularly important” topics on the agenda. The Damascus-based Antioch Patriarchate also pulled out because of a dispute it was having with the Jerusalem Patriarchate over which of them had jurisdiction over the small Orthodox community in Qatar. The Georgian Orthodox Church pulled out over a doctrinal issue. One of the most divisive issues in Orthodoxy is the relationship with the Catholic church. Some groups want to have closer relations with the Catholics, while others consider them heretics, citing particularly the 1204 Catholic sacking of Constantinople. When the Ottoman Muslims sacked Constantinople (Istanbul) in 1453, Russia chose to take on the mantle of being “the third Rome,” and head the Orthodox Church. Whatever traction was gained by that plan was thrown away by the Bolshevik Revolution in 1917, where Nicolai Lenin (Vladimir Ilyich Ulyanov) led the destruction and sacking of the Russian Orthodox Church, and turned Russia and the Soviet Union into atheistic states. So now Vladimir Putin is in power in Russia. He wants to ignore the historic role of Constantinople and also ignore Lenin’s destruction of the Russian Orthodox Church, and put Moscow in the leadership of Orthodox churches worldwide. So Russia has also announced that it will not be attending the ecumenical council in Crete this week. Christianity’s first Ecumenical Council was held in 325 AD in Nicea, an ancient city just east of today’s Istanbul (Constantinople). The Council of Nicea was a meeting of all Christian churches, led not by the Pope but by the Emperor Caesar Flavius Constantine of Rome. The objective of the meeting was to unify the different regional branches, and to resolve some important questions. At that time, many questions of Christian theology had not yet been decided. One of the most important was the divinity of Jesus Christ. If Jesus was born, then how could he be divine? Although there was debate, the Council ratified the view that he was a man, but was God in the form of human flesh. The details of how it makes sense that Jesus was both human and divine were extremely controversial. It was discussed further at the Second Ecumenical Council in Constantinople in 381, again in the Third Ecumenical Council, held Ephesus, an Aegean sea port, in 431. By the time of the Fourth Ecumenical Council, held Chalcedon, near Constantinople, in 451, the differences on this issue were extremely vitriolic. This was the time of the first major split within Christianity, as six branches of Christianity refused to recognize the Fourth Ecumenical Council, in a controversy that has never been resolved. Today, these are usually called the “Oriental Orthodox Christian” churches, comprised of the Ethiopian, Coptic (Egyptian), Armenian, Syrian, Indian and Eritrean Churches. These were all churches that had existed since apostolic times, and the major political issue was that they didn’t wish to be controlled by Rome. The Fifth Ecumenical Council (in Constantinople in 553) and the Sixth Ecumenical Council (in Constantinople in 680) attempted without success the resolve the split. The Seventh Ecumenical Council, in Nicea in 787, is the last one that was recognized. At this one, the major controversy was between the “iconoclasts” and “iconophiles.” “Iconoclast” means “image smasher” or destroyer of religious icons and monuments. The iconoclasts, who were outvoted, said that religious art was idolatry and must be destroyed. If Jesus is divine, is it not sacrilegious to worship an icon of Jesus as if it were Jesus himself? The iconophiles loved icons, and argued that they were man’s dynamic way of expressing the divine through art and beauty. The latter argument won out. 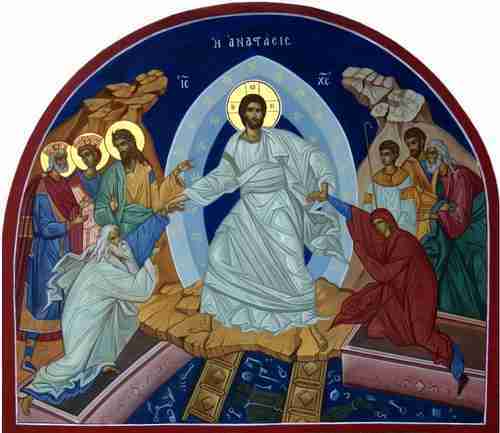 There is also reason to believe that the argument over icons was heavily influenced by the rise of Islam at that time. The Charlie Hebdo terror attack in Paris in January 2015 was supposedly motivated by artistic representations of the Prophet Mohammed, and this prohibition was coming into effect at the time of the Seventh Ecumenical Council. That was the last time there was sufficient unity in the Christian churches to hold a worldwide Ecumenical Council, although there were smaller regional meetings. In 1054, the Pope in Rome sent a letter to the Patriarch of Constantinople demanding that the latter submit to the Pope as head of all the churches. The Patriarch refused, and so the Pope and the Patriarch excommunicated each other on July 16, 1054. The “Schism of 1054” has never been healed. The Orthodox Christians were generally excluded from the Ecumenical Councils held by the Catholics over the centuries, but they were controversial nonetheless, even in modern times. The Second Vatican Council held by the Catholics in 1962-65 created a new split within the Catholic Church, when the Society of St. Pius X (SSPX) refused to recognize the legitimacy of its edicts. Pope Francis is currently working to heal this rift. It was at the time of the Second Vatican Council that plans for an Ecumenical Council of all the Orthodox Churches as announced in 1961. So in view of that history, it should not be surprising to anyone that the attempt to create a new Orthodox Christian Ecumenical Council, a Great and Holy Council (GHC) of Eastern Orthodox Churches, announced in 1961, has run into a great deal of controversy, as controversy has always been the norm, since the beginning.